Leading Exporter of mango tea, jasmine tea, orange tea, chocolate tea, rose tea and flavour tea for weight loss from Delhi. As a leading manufacturer, supplier, exporter and wholesaler of Mango Tea, we have been recognized as a trusted name in the market at present scenario. 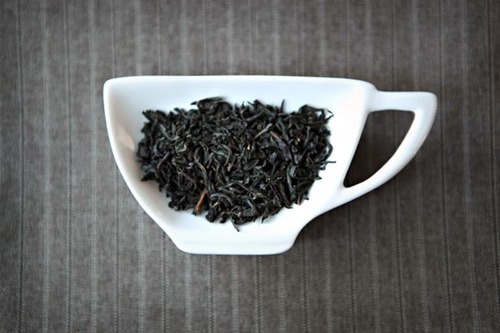 This tea calms the mind and helps people relax and deal better with their stresses. It combines the citrusy quality of fine black tea with the flavor of perfectly ripened mangoes and is offered at extremely feasible rates. As an answer to the ever increasing demands of flavor teas, we manufacture, supply, export and wholesale Jasmine Tea at extremely feasible prices in the market. These are infused with the delicate scent of night-blooming jasmine flowers. Mellow and smooth, delicately sugary notes comes as rounded, fresh finish flavor tea that is highly demanded by our customers. 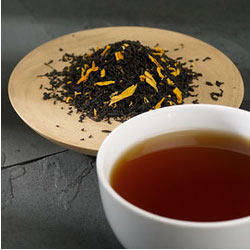 Our company manufactures, supplies, exports and wholesales a magnificent range of Orange Tea in the market at present. This flavor tea from our side combines fresh and brisk black tea with the flavor of juicy, ripe oranges, playfully accented with orange peel. Zesty orange rind dryness, with hints of soft, sweet orange juice makes a great balance to provide crisp and refreshing cup. 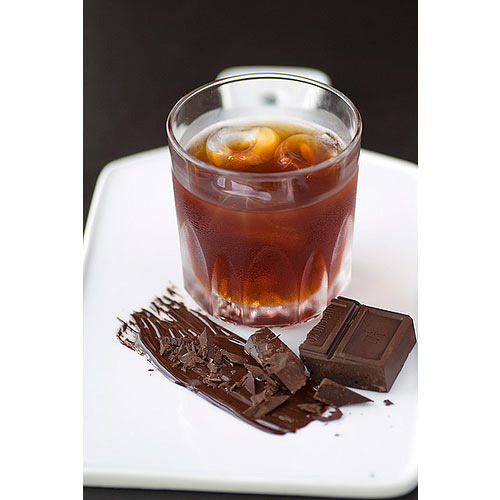 We are a unique name in the market to provide our honorable customers an exclusive range of Chocolate Tea. The Rose Tea provided by us is manufactured using the freshest ingredients and is known for its unique rose fragrance and flavoring. It is available to clients at budget friendly prices. We are a well known manufacturer, supplier, wholesaler and exporter of Flavour Tea for Weight Loss. Our offered product is highly appreciated and demanded in the market. 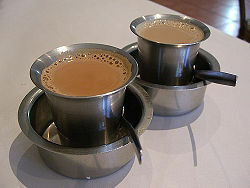 The offered flavour tea is manufactured in many flavours with best quality of raw material used. Our customers can avail the offered product at vary affordable rates. Innovation is our forte and manufacturing, supplying, exporting along with wholesaling of Earl Gray Tea from our side is a strong example of the same. This product from our side is a tea blend with a distinctive citrus flavor and aroma derived from the addition of oil extracted from the rind of the bergamot orange. It is used as a flavoring for many types of cakes and confectionery, such as chocolates, as well as savory sauces. Owing to a long-term destination for our business, we are engaged in offering a wide gamut of Cinnamon Tea that is used in nutrition. Our experienced professionals use the best quality tea leaves and advanced technology while processing this tea. So as to ensure the quality, this tea is strictly tested on various quality measures. Apart from this, clients can avail this tea from us at pocket friendly prices. We are recognized as ace manufacturers, suppliers, exporters and wholesalers of Mint Tea in the market at present. It comes from fragrant herb that makes for a soothing drink. This tea helps to digest foods better and also reduces flatulence and digestive issues. 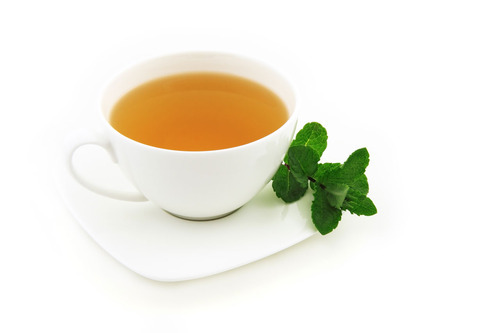 A cup of peppermint tea will ease nausea and vomiting, especially if a person suffers from motion sickness. Our company is a leading manufacturer, supplier, exporter and wholesaler of high quality Ginger Tea amongst our customers. Ginger is an energizer and a stimulator. 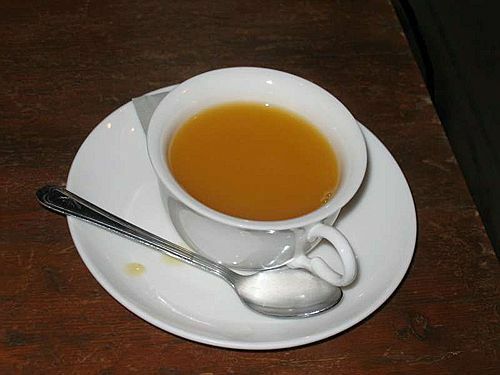 Drinking ginger tea both stimulates and soothes the digestive system. Ginger has been known to aid people experiencing nausea. 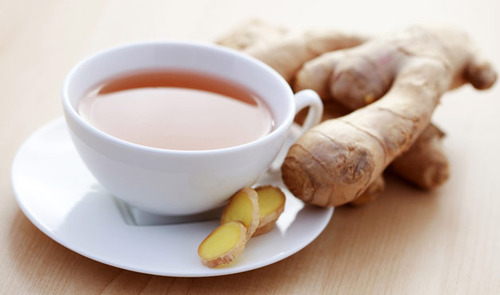 Arthritic people have found ginger tea helpful since it has anti-inflammatory properties. 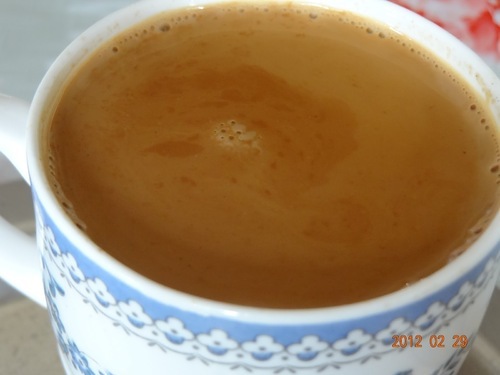 As an ace manufacturer, supplier, exporter and wholesaler of Masala Tea, we have marked our name very strongly in the market. 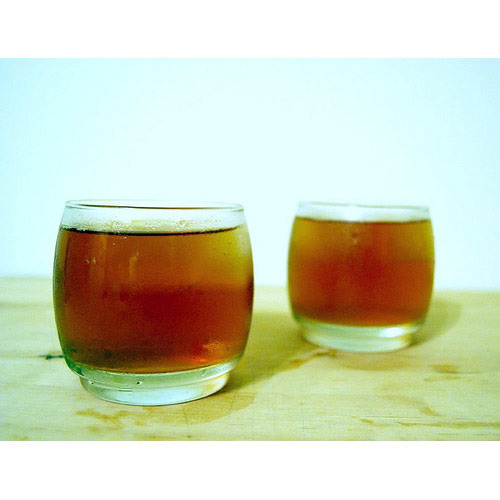 This one is a flavored tea beverage made by brewing black tea with a mixture of aromatic Indian spices and herbs. This is a very popular and highly demanded product from our side and is offered at extremely affordable rates. Our company has established itself as a leading manufacturer, supplier, exporter and wholesaler of superior quality Lemon Tea in the market at present. It is fragrant to drink and is a very effective tonic to calm nerves and anxiety. 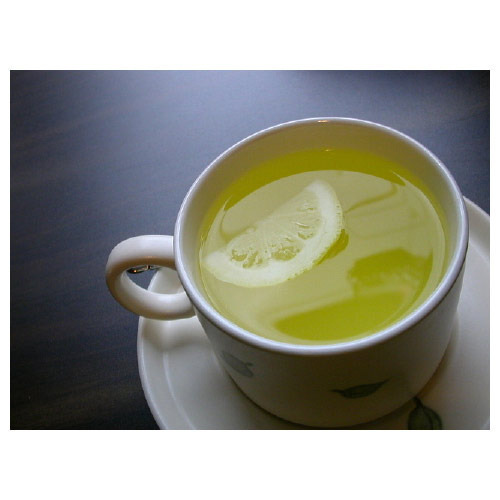 Cold lemon tea help relieve cold sores, or genital sores caused by the herpes simplex virus. It also helps to treat anxiety, stress and insomnia. We have achieved paramount success in manufacturing, supplying, exporting and wholesaling of Peach Tea in the market at present. 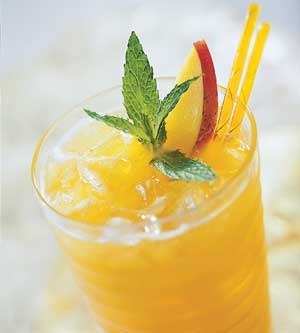 It is a beverage that is made from the natural peach and is highly preferred in the form of peach iced tea. This one is manufactured as per the set industry protocols and is provided to our customers at extremely affordable rates. 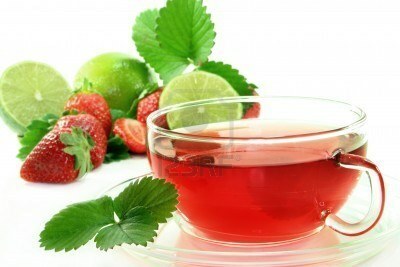 We are a top notch supplier of Strawberry Tea. 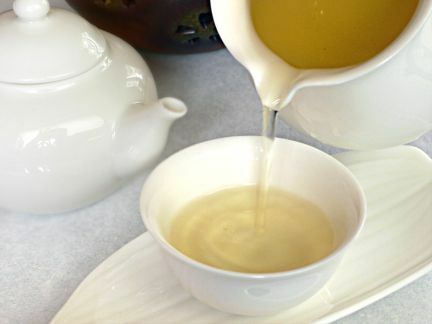 We provide a solution to the variegated demand of Vanilla Tea in the market by manufacturing, supplying, exporting and wholesaling the same. This product from our side combines the rich and warm dark sugar aroma of vanilla with mellow and grounding organic herbs. Soothing, sweet and very 'beany' vanilla fragrance are the characteristics of this flavor tea. Since our inception, we are instrumental in offering premium quality Cardamom Tea. The offered tea is processed under the guidance of our skilled professionals using quality tested tea leaves and progressive technology. So as to ensure the quality, this tea is tested on various parameters by our quality examiners. Moreover, this tea is packed using optimum quality material in different packaging options.